Ilya was graduated at Radio Technical Faculty of Moscow Power Engineering Institute (now Technical University), later got MBA at Classical Business School. Ilya has worked in IT since 2000 when he worked for Protek Flagship, international leading bulling system vendor. He worked in South Africa and Burkina-Faso, participated in organization of regional support office for local clients in Johannesburg. 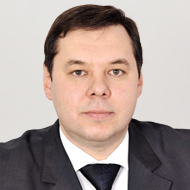 Ilya started working in financial sector in 2004 in Uralsib Bank where he developed business-plan and later successfully completed implementation project of new system "Client’s Pay-Control Center". During work in Temenos as Project Manager Ilya successfully completed implementation project of T24 Core Banking System in National Bank of Kazakhstan. Afterwards he was responsible for developing Temenos business in CIS. Ilya published articles in business medias of Russia. Evgeny has graduated from the Moscow State Institute of Electronics and Mathematics, the Department of Computer Engineering. He started his career in the banking industry in 1994 and was involved in automation process of banking operations. 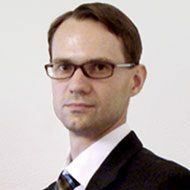 Evgeny has a successful experience of employment with large Russian and foreign banks such as "ROSSIYSKY CAPITAL" Commercial Bank (CIO / Head of technological development board), "UniCredit Bank" (Chief Architect), "Impexbank" (Head of IT-systems development department), "Avangard Bank", "Rossiyskiy Kredit Bank". He has broad background in development and implementation of IT programs in accordance with strategies adopted by banks. 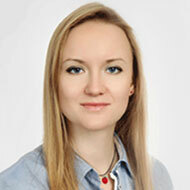 Svetlana has 20 years of experience in the banking sector. She held leading positions in accounting departments of major banks, such as "OTP Bank", "Central OVK", "SBS-AGRO". 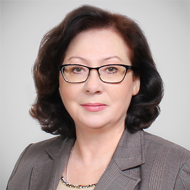 Svetlana has professional knowledge and skills in the field of bank’s regulatory reports formation, accounting procedures in credit organizations. She has successful experience of organization and implementation of banks’ projects on migration to new accounting rules, introduction of new accounting systems, automation of accounting formation process, reorganization of banks through merger. Veronika Khomyakova has started her professional employment in IT business with SAP company as a back-office sales specialist more than 7 years ago and has become a account manager within the following two years. Since 2008 till 2010 in the IT integrator "ND Group" Veronika was responsible for the marketing division development and optimization of the back-office business processes. She has gained a unique experience of building up customer relationship combined with business process management. Being employed with RBtechnologies, Veronika is in charge of performing complete and verified reporting in respect of financial and business operations, coordination and facilitation of the project activities, business processes development and the company corporate culture.